This is an extended loop from the Kalamunda township, including the Whore No More climb to the top of Mt Gungin, along some of the Kalamunda Circuit trails, then down the power lines and Piesse Brook valley to The Elevator and Jorgensen Park. Or in reverse, if you prefer. Note: This is not a signed route. Local knowledge is required for navigation. Kalamunda loop and link trail plans are go! A recent meeting with the Kalamunda Shire has confirmed that a consultant has been engaged to undertake the detailed concept and design work for the Kalamunda Loop and link trail. Tredwell Management Services is a contemporary business that specialises in all aspects of sport and recreation planning throughout Australia. 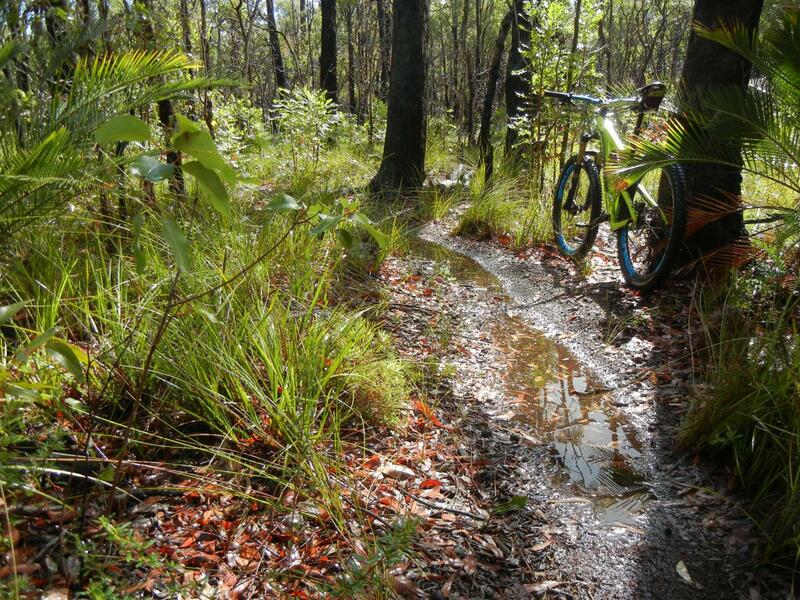 They have experience and knowledge of the MTB trails in and around Kalamunda, though their previous Perth Hills Trails Master Plan. The project is currently in the early stages of compiling and reviewing all the existing background information. We have been assured that extensive public consultation will occur in due course, and the Kalamunda Collective have been included as a key stakeholder of the project. This major project managed by the Shire, will enable the well utilized Kalamunda Trail network to be formally connected to the town, and provide options for both longer rides and rides for a variety of skill levels. KMBC is working with the kalamunda Shire to deliver a trail which would loop from the Kalamunda township, to the Kalamunda trails (and Mt Gunjin), Pickering Brook and back to Kalamunda. This has the potential to become over 35km of top grade mountain bike trail with a bit of everything. It is likely to take in several of the existing trails within the area as well as some much needed upgrades and some new sections of sweet single track. The Shire will also be investigating a formal link trail between the Town and the Railway Heritage trail / Goat Farm. It's early days but the Shire are very positive about the proposal, with the formal planning stage commencing in February 2015 and expected design/alignment stage to be completed by the end of August. Depending on its findings, we are optimistic that we could see work commencing on the ground late in 2015.
Review: A challenging cross country (and navigation) adventure. There is always another climb around the corner! Takes in some quieter and more remote tracks, so it is important to be prepared and self-sufficient. Greater Kalamunda Loop MTB Trail 4.50 out of 5 based on 1 ratings. 1 user reviews.